SPONSOR: The sponsor of the sweepstakes is Click Sales Inc. (“ClickBank”), 1444 S. Entertainment Ave. Suite 410 Boise, ID 83709. By participating in the sweepstakes, each entrant unconditionally accepts and agrees to comply and abide with these rules and the decisions of ClickBank, which shall be final and binding in all respects. TERM: Nintendo Switch Console Package Giveaway (the “Sweepstakes”) begins March 15th, 2019, at 9:00am (MST) and ends Marth 19th, 2019, at 11:59 p.m. (MST). RULES BINDING UPON PARTICIPANTS. By submitting an entry, each entrant agrees to the rules of the Sweepstakes, as set forth herein. RELEASE OF SURVERYMONKEY. SurveyMonkey does not in any way endorse, sponsor, or administer the Sweepstakes, nor is it associated with the Sweepstakes in any way. By submitting an entry, entrants agree to release Survey Monkey from any and all liability and damages that may stem from, or be associated with, the Sweepstakes in any way. ELIGIBILITY: This Sweepstakes is open to ClickBank clients of the 50 United States of America and the District of Columbia, and in Canada (excluding Quebec). American residents must be 18 years of age or older at the time of entry, and Canadian residents must be 19 years of age or older at the time of entry. Residents of Puerto Rico and Quebec, Canada are not eligible to participate. Canadian residents must correctly answer a timed math question (less than ten minutes), without assistance from any machine or person, in order to win. Employees of ClickBank, members of employees’ immediate families (e.g. spouses, children, siblings, parents), and persons living in the same household as employees’ or employees’ immediate family members are not eligible to participate in the Sweepstakes. ClickBank, will determine the winner’s eligibility in ClickBank’s sole and absolute discretion. HOW TO ENTER: A participant may enter in one of two ways. First, a participant may enter by doing each of the following: completing the SurveyMonkey survey as described by email promoting the Nintendo Switch Console Package Giveaway. All of these steps must be completed by 11:59 p.m. (MST) March 19th, 2019. Second, and alternatively, a participant can send an email to mktg@ClickBank.com, including the name, address, phone number, and a reference to the contest above. 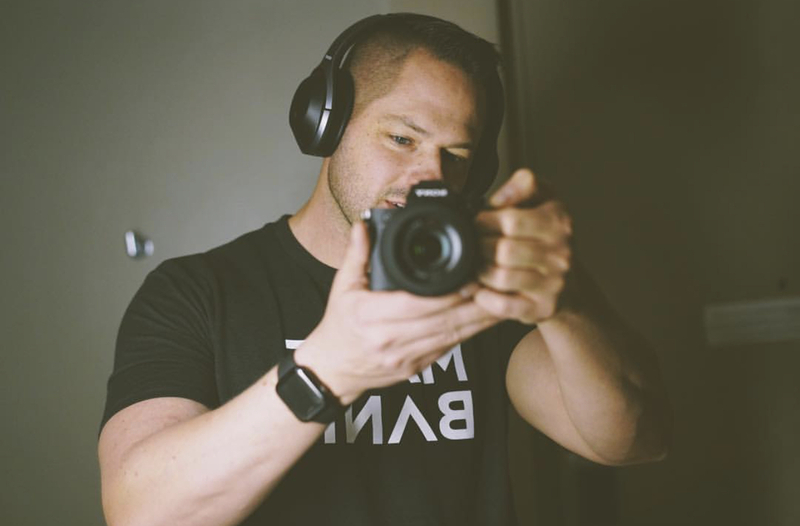 The email must be received by ClickBank by 11:59 p.m. (MST) March 19TH, 2019. Each person is only allowed one entry. Any attempt to use both types of entry will disqualify a participant. INFRINGING SUBMISSIONS. Submissions that violate or infringe upon another person’s rights, including but not limited to copyrights, trademark rights, or other intellectual property, are not eligible. By entering the Sweepstakes, you agree to indemnify ClickBank, from any claims arising from the use of your entry, including but not limited to intellectual property infringement, infringement of right of publicity, or any other moral rights or rights of authorship your submission may infringe. USE OF INFORMATION PROVIDED TO CLICKBANK. By entering the Sweepstakes, you give ClickBank permission to message you by email to notify you of the Sweepstakes winners. 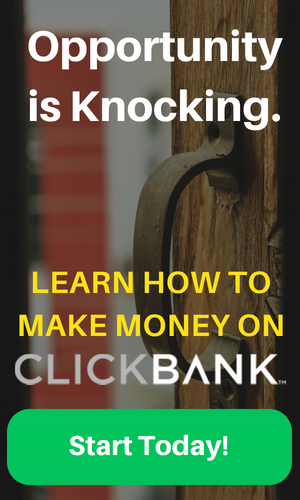 Any and all submissions become the property of ClickBank. ClickBank reserves the right to edit and publish any grammatical or spelling errors in the entry. If you submit any creative suggestions, ideas, notes, drawings, concepts, designs, original artwork or other information, you assign to ClickBank all of your rights in and to them without compensation or payment of any kind. ClickBank reserves the right to publish the names and contact information of the winners to any governmental body, should it be requested to do so. In addition, entry into this Sweepstakes constitutes the winner’s grant of permission for ClickBank to use the winner’s name, photograph, likeness, voice, biographical information statements, address (city and state), and Sweepstakes submission for advertising and/or publicity purposes worldwide and in all forms of media now known or thereafter developed, in perpetuity, without further compensation. WINNERS: One (1) winners will be selected at random on March 25th, 2019. The winners will be notified via email by March 29th, 2019. Sweepstakes winners must submit their shipping address to ClickBank by April 7th, 2019. The Sweepstakes prizes will be shipped no later than April 15th, 2019. PRIZE: One (1) winner will receive a Nintendo Switch Console Package. The retail value of each package is approximately $385.00 USD. Prizes will be shipped directly to the winner at the address they provide to ClickBank. Prizes may not be exchanged or returned for any monetary amount. ClickBank reserves the right to substitute or change any prize of equal or substantially similar value for reasons including, but not limited to, product availability. Only the type and quantity of prizes described in these rules will be ESTIMATED ODDS: The estimated odds of winning will depend on the number of entrants, and thus are unknown, but are estimated to be at 1:4,000. NOTICE TO WINNERS: ClickBank, will notify the winners by emailing them directly. If, despite reasonable efforts, a potential winner does not respond within ten (10) days of the first notification attempt (or such shorter time as exigencies may require), or if the prize or prize notification is returned as unclaimed or undeliverable to such potential winner, such potential winner will forfeit his or her prize and an alternate winner may be selected. If any potential prize winner is found to be ineligible, or if she or he has not complied with these rules or declines the applicable prize for any reason prior to award, such potential prize winner will be disqualified, and an alternate winner may be selected. MODIFICATIONS; ABUSE OF SWEEPSTAKES OR RULES. ClickBank reserves the right to cancel the contest or modify these rules at its discretion, without further notice. Any modification of these rules may only be made by ClickBank in a written document issued in accordance with law by a duly authorized representative of ClickBank. Unless otherwise stated in these rules, the invalidity or unenforceability of any provision of these rules shall not affect the validity or enforceability of any other provision. In the event that any provision is determined to be invalid or otherwise unenforceable or illegal, these rules shall otherwise remain in effect and shall be construed in accordance with their terms as if the invalid or illegal provision were not contained herein. In the event of a dispute regarding the winner, ClickBank reserves the right to award or not award a prize in its sole and absolute discretion. ClickBank reserves the right in its sole discretion to disqualify from these Sweepstakes, and ban from any future promotions, any individual who is found to be tampering with the entry process or the operation of the contest, to be acting in violation of these rules, or to be acting in an unsportsmanlike or disruptive manner, or with the intent to disrupt or undermine the legitimate operation of the Sweepstakes, or to annoy, abuse, threaten or harass any other person, and ClickBank reserves the right to seek damages and other remedies from any such person to the fullest extent permitted by law. No mechanically reproduced, illegible, incomplete, forged, software-generated or other automated multiple entries will be accepted. GOVERNING LAW/JURISDICTION: EXCEPT WHERE PROHIBITED BY LAW, ALL ISSUES AND QUESTIONS CONCERNING THE CONSTRUCTION, VALIDITY, INTERPRETATION AND ENFORCEABILITY OF THESE RULES OR THE RIGHTS AND OBLIGATIONS OF ENTRANTS OR CLICKBANK IN CONNECTION WITH THE SWEEPSTAKES SHALL BE GOVERNED BY AND CONSTRUED IN ACCORDANCE WITH THE LAWS OF THE STATE OF IDAHO WITHOUT GIVING EFFECT TO ANY CHOICE OF LAW OR CONFLICT OF LAW RULES OR PROVISIONS THAT WOULD CAUSE THE APPLICATION OF ANY OTHER STATE’S OR COUNTRY’S LAWS. FOR THE PURPOSES OF ANY DISPUTES HEREUNDER, BY ENTERING THIS SWEEPSTAKES, EACH ENTRANT AGREES THAT ANY AND ALL DISPUTES, CLAIMS AND CAUSES OF ACTION ARISING OUT OF OR IN ANY WAY RELATED TO THIS SWEEPSTAKES SHALL BE RESOLVED INDIVIDUALLY, WITHOUT RESORT TO ANY FORM OF CLASS ACTION, AND FURTHER CONSENTS TO THE EXCLUSIVE JURISDICTION AND VENUE OF THE DISTRICT COURT FOR THE FOURTH JUDICIAL DISTRICT OF THE STATE OF IDAHO, IN AND FOR THE COUNTY OF ADA. GENERAL LIABILITY RELEASE: Entrants agree that ClickBank: (A) shall not be responsible or liable for, and is hereby released from, any and all costs, injuries, losses or damages of any kind, including, without limitation, death and bodily injury, due in whole or in part, directly or indirectly, to participation in the Sweepstakes or any Sweepstakes-related activity, or from entrants’ acceptance, receipt, possession and/or use or misuse of any prize; and (B) has not made any warranty, representation or guarantee, express or implied, in fact or in law, with respect to any prize, including, without limitation, to such prize’s quality or fitness for a particular purpose. ClickBank assumes no responsibility for any damage to an entrant’s, or any other person’s, computer system which is occasioned by participating in the Sweepstakes, or for any computer system, phone line, hardware, software or program malfunctions, or other errors, failures, delayed computer transmissions or network connections that are human or technical in nature. Without limiting the generality of the foregoing, ClickBank is not responsible for incomplete, illegible, misdirected, misprinted, late, lost, damaged, stolen or postage-due prize notifications; or for lost, interrupted, inaccessible or unavailable networks, servers, satellites, internet service providers, websites or other connections; or for miscommunications, failed, jumbled, scrambled, delayed or misdirected computer, telephone or cable transmissions; or for any technical malfunctions, failures, difficulties or other errors of any kind or nature; or for the incorrect or inaccurate capture of information, or the failure to capture any information. INABILITY TO CONDUCT SWEEPSTAKES: ClickBank reserves the right to modify, extend, suspend, or terminate the Sweepstakes if it determines, in its sole discretion, that the Sweepstakes is technically impaired or corrupted or that fraud or technical problems, failures, or malfunctions or other causes beyond ClickBank’s control have destroyed or severely undermined or to any degree impaired the integrity, administration, security, proper play and/or feasibility of the Sweepstakes as contemplated herein. In the event an insufficient number of eligible entries are received and/or ClickBank is prevented from awarding prizes or continuing with the Sweepstakes as contemplated herein by any event beyond its control, including but not limited to fire, flood, natural or man-made epidemic of health of other means, earthquake, explosion, labor dispute or strike, act of God or public enemy, satellite or equipment failure, riot or civil disturbance, terrorist threat or activity, war (declared or undeclared) or any federal state or local government law, order, or regulation, public health crisis, order of any court or jurisdiction, or other cause not reasonably within ClickBank’s control, then ClickBank shall have the right to modify, suspend, extend, or terminate the Sweepstakes. WINNER’S LIST: To obtain any legally-required winners list (after the conclusion of the Sweepstakes) or a copy of these rules, send a self-addressed envelope with the proper postage affixed to: ClickBank, Attn: Marketing, 1444 S. Entertainment Ave. Suite 410, Boise ID 83709. Please specify “winners list” or “Sweepstakes Rules” and the name of the sweepstakes.